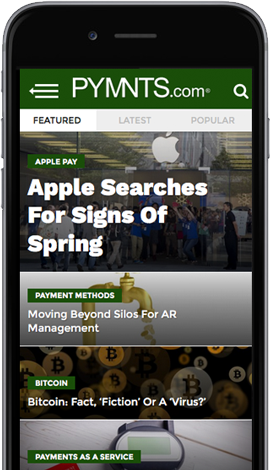 Today in PYMNTS data, unbanked adults may be able to use their smartphones to verify accounts, the Royal Bank of Scotland posted profits for the first time in 10 years, alcohol-infused candies are making mouths water, smartphones’ proliferation is increasing and accounts payable (AP) transactions are seeing slow growth in payments by credit or debit cards. 1.8 billion | Number of adults in the world who do not have bank accounts and may not have government-issued IDs but do have mobile phones. Two dozen of the world’s largest mobile network operators (MNOs) have agreed to provide access to Mobile ID, a new verification by global identity verification service Trulioo. That data will be used to instantly verify those mobile device users around the globe with the aim of reducing fraud tied to account openings. $1.05 billion | Profits posted by the Royal Bank of Scotland (RBS) in 2017, despite the ongoing fallout from its Global Restructuring Group scandal. The profits were the first the company had posted in a decade, significantly beyond analyst expectations and a sharp turnaround from 2016’s $9.71 billion loss. Shares dropped 4 percent at market open on Friday, however, with analysts and investors still waiting on expected penalties from the U.S. Department of Justice’s investigation of RBS misconduct. 18,000 | Number of people who were in line for alcohol-infused candy store Sugarfina’s gummy bears infused with real rosé. The items sold out within two hours of their release, and, by the end of their first week, tens of thousands of consumers were in line for the newest boozy bears, according to founders Rosie O’Neill and Josh Resnick. 77.1 percent | Portion of 195 million adults (18 and older) in the U.S. who own a smartphone, meaning they are capable of activating and using a mobile wallet. Together, Apple and Samsung have about 70 percent of the U.S. market for smartphones with 43.5 percent and 29.5 percent, respectively. Android boasts a 52 percent share of smartphones, and iOS has 43.5 percent. As a percentage of adults, those market share numbers roll out to Apple at 33 percent, Samsung at 22.8 percent and Android at 40 percent. 11 percent | Percentage of accounts payable transactions that are paid by credit or debit cards, according to data from the National Automated Clearing House Association (NACHA). That portion is expected to increase to just 12.5 percent by 2020.